Car Seat Buying And Fitting: Which Retailer Is Best? - Which? Car seat buying and fitting: which retailer is best? In summer 2018, our car seat mystery shoppers travelled around England, Scotland and Wales, visiting car seat retailers to check the advice being given out to parents. We discovered, overall, most stores visited (89%) are failing to ask key safety questions of parents before recommending a seat, potentially putting children's lives at risk. Our mystery shoppers posed as customers wanting to upgrade their nine-month-old baby’s car seat to the next stage. No information was offered up freely by the mystery shoppers, so the store staff should have asked all the right questions to enable them to give the best advice for our scenario. We visited 213 stores in total, including Mamas & Papas, Mothercare, John Lewis, Halfords, Smyths and independents. Stores were judged against a success rate of 100% for asking all the right questions. We saw an 89% failure rate. That means that in every nine out of ten of our visits, the store’s staff failed to ask all our key safety questions. In 86% of visits a consultation form was not used which could have improved scores overall had one been checked. Download our checklist to make sure next time you visit a store you're getting asked the right questions. When you go to the shops, make sure you choose the best baby car seat to ensure your child is kept as safe as possible on the road. What’s most disappointing is that these safety failings aren't the first we've seen. Which? investigated car seat retailer fittings, and online retailer advice, in 2011, 2012 and 2014. In each of those years we received similarly shocking results which were fed back to retailers. In our 2014 investigation, nine out of 10 retailers failed our car seat fitting tests and promised to follow up and improve the situation. Retailers offer training, but some things are still not filtering down to the shop floor. We carried out our mystery shop in partnership with Good Egg Safety, an organisation that champions car seat safety, carries out car seat checks and commissions an independent research company to carry out regular mystery shops across the UK. We’ve shared detailed findings with each of the retailers and will ask them once again to improve. Go armed with our information and checklist of questions. You can buy the best car seat in the world, but if it’s not fitted properly it won't be effective in a crash and could put your child in serious danger. Download our free 10 car seat fitting checks guide before you head to the shops. Our mystery shop focused on high street retailers, we did not look at online retailers this year. 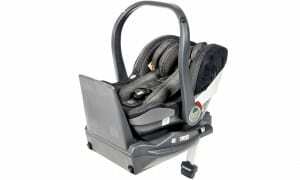 Our advice is to always get a child car seat fitted by a trained expert. However, we feel all the retailers we visited during this investigation need to improve. We visited seven Mamas and Papas stores and 11 John Lewis, and all the stores visited were recorded as having a 100% failure rate on our scale, because the retail staff did not ask all of the required questions, or didn’t explain (or demonstrate knowledge) as to why they missed this question out. Halfords had an 83% failure rate. Important for car seats which have weight limits. Some seats have a crossover weight limit. It’s important to know the child’s weight so that the correct advice can be given about keeping a baby in the lowest group car seat for as long as possible. i-Size(R129) seats have height limits. And a baby will have outgrown its baby car seat when his or her head is level with the top of the seat. I-Size (R129) makes it mandatory to keep a baby rear-facing until he or she is 15 months old at least. Not all car seats fit in all cars so it’s vital to select one that will fit in the car it will be used in. It’s also important to know other cars where the seat will be used to ensure it will fit in those, too. This should be asked so the staff member can explain about ISOfix and the pros and cons of using this system. Underfloor storage will affect the type of seat which can be recommended, as some car seats use a support leg which may not be suitable to be used in cars with this feature. Not all cars have top tether, and if a car has underfloor storage in the back then a seat with top tether may be a good alternative to use, rather than a car seat that uses a support leg. For ISOfix seats it’s important to confirm via a manufacturer fit list that the seat will fit the make and model of the car it's to be used in. A nine-month old baby weighing 9kg could, according to the regulations, be moved up to a forward-facing Group 1 car seat, but many car seat experts agree that this is far too young to turn a baby forward-facing. The latest i-Size (R129) baby car seats make it mandatory to keep your baby rear-facing until 15 months old, in a bid to help stop parents turning their babies forward too soon. A vital part of buying a car seat is being shown how to install it safely. If the shop assistant doesn’t offer you a demo ask for one and then get hands on yourself. All questions were rated equally, in order to get 100% on our scale and the visit to be recorded as a pass overall, the store staff needed to ask all the applicable questions, or they had to explain why a question wasn’t asked. If a question wasn’t applicable, then it was marked as N/A and would not count towards the final mark. Go straight to our car seat reviews for the seats that scored top in our safety, ease of fitting and comfort tests. 86 Halfords stores were visited, and the overall failure rate was 83%. 15 of the 86 stores visited recorded 100% on our scale and an overall pass rate, which is positive. We worked with Halfords following our 2014 fitting investigation, but the pass rate was mainly due to 13 (38%) stores out of 34 in Scotland passing. In England/Wales only two out of 52 stores passed (4%) with 100% of questions asked, according to our scale. 18 stores could have easily swapped the overall fails for passes had they remembered to ask a few more questions, such as underfloor storage boxes, asking about height and explaining about rear-facing for longer. 24 stores gained a score of 50% or below, with the lowest mark being 22%, meaning only two of the applicable questions were asked. 'A Halfords spokesperson says: “At Halfords we take the safety of children very seriously. Whilst concerned to see the results from the Which? and Good Egg mystery shop, we don't feel they represent our high levels of training, which incorporate the Which? charter and have been developed in partnership with car seat manufacturers. We had higher hopes for the 20 independent stores visited in this mystery shop, but only two of the independents passed with 100% on our scale. This means all of the applicable questions were asked. Four stores scored between 80 and 90% which means only one or two questions were not asked. All but one independent store, we mystery shopped, recommended keeping the baby rear-facing for longer, which is good. Only three independent stores used a consultation form, though, and perhaps, surprisingly, four stores didn't offer to demonstrate the car seat for the customer. 12 stores were visited and no staff at the John Lewis stores visited by mystery shoppers asked all the questions. However, half of John Lewis branches that were visited scored between 80 and 91%, which means they only missed out a few questions and these visits could have easily switched to a pass overall had our mystery shoppers been advised correctly about underfloor storage, or explained top tether, for example. One store scored 22% which means only two of the applicable questions were asked (age and weight). None of the stores visited by mystery shoppers used a check list. Most of the stores offered a demonstration, though. 'We treat the selling of car seats with the utmost seriousness and have invested significant resource and training in this area to get it right for our customers. We ensure every nursery Partner attends and passes a two-day car seat training course, independently run by the leading car seat training provider in the UK. We also have mystery shops carried out by a third party, following up on all subsequent advice to ensure the quality of our training. Of the seven stores mystery shopped, no staff asked all of the applicable questions; however three stores asked more than half of the questions, which is promising. On one visit the assistant asked just one of the required questions (age). Only one store asked about other vehicles the car seat would be used in. None asked about underfloor storage in the car, and four stores didn’t offer to demonstrate the car seat. None of the stores visited used a check list. 'Because car seat safety is so important to us, every Mamas & Papas store has an IOSH-accredited car seat expert and all colleagues are trained to follow a comprehensive check list during the sale process. Out of the 52 stores visited for our mystery shop, five stores gained a score of 100% on our scale, which means all questions were asked. Eight stores could have improved their score overall by asking a few more questions, such as height, other vehicles, top tether and asking about underfloor storage. Seven stores gained a score of 50% or below, with the lowest mark being 22%, meaning only two of the applicable questions were asked. Only five stores used a consultation form. 'At Mothercare, we are committed to offering an exemplary car seat fitting service to all our customers. 'We work hand in hand with Child Seat Safety who train all our specialists to gain, the industry recognised, IOSH qualification. We also work closely with our suppliers to provide enhanced specialist advice for customers. Smyths Toys are a relatively newcomer to the car seat retailer market, and we haven't included any shops in previous Which? investigations before. Of the 36 visited, two stores gained a score of 100% on our scale, which means all questions were asked. 23 stores gained scores between 90% and 51%. 11 stores gained a score of 50% or below, with the lowest two stores scoring 22% which means only 2 out of the applicable questions were asked. Retailers offer staff training, but there is clearly something not quite working, because in our mystery shop not all store staff are asking all the required questions. We want to see all sales assistants selling child car seats using a consultation form. This lists all the key questions that need asking so that no vital safety information is missed. These forms are already available and some retailers say the forms are used, however, 86% of the assistants we mystery shopped did not use one. 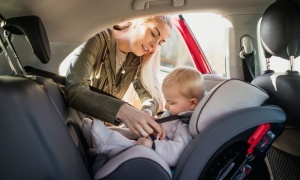 In Summer 2018, car seat mystery shoppers travelled around England, Wales and Scotland visiting 213 retail stores in total, divided by 15 visits across 10 different regions in England, plus Wales and Scotland. 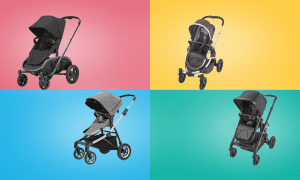 These included all the major car seat retailers: Halfords (86), Mothercare (52), Smyths Toys (36), John Lewis (12), Mamas and Papas (7), plus range of independent retailers (20). The number of visits per brand was a snapshot relative to the number of stores across the UK offering car seat services. The salesperson at each retailer was marked according to how many of the following key safety questions were asked. The questions, developed with car seat industry experts and car seat manufacturers, were all rated equally. Retailers were marked with a ‘fail’ if a question wasn’t asked, or there was no understanding of the topic, or demonstration of why the question didn’t need to be asked. In order to pass our safety criteria, for our scenario, store staff had to ask the following questions: what’s your baby’s weight, height and age; what vehicle do you have; will you be using the car seat in any other vehicles; does your car have ISOfix connectors; does your car have a top-tether point (if applicable), was a fit list checked (for ISOfix car seats, if applicable), does your car have underfloor storage, advise to keep a baby rear-facing for as long as possible and to offer a demonstration on how to fit the car seat (either in store and/or in the customer's car). We carried out our mystery shop in partnership with Good Egg Safety, an organisation that champions car seat safety, carries out car seat checks, and commissions an independent research company to run regular mystery shops.